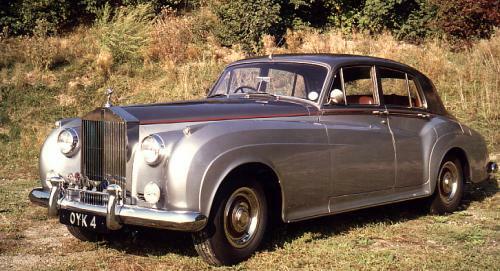 I have a 1959 RR Silver Cloud (looks like this one) that needs some work. Any RR or imports mechanics out there? Thanks. I was recently looking at unusual cars for events and see that Classy Transportation has one. Not sure if they are in Durham? Anyhow, unless you are that person, he's going to have to adjust his advertising as he bills it as being the only one in the triangle So when you break the news to him, you could ask who works on his?? If not, Leith has a RR dealership on Capital blvd, maybe they'll have someone there. There used to be a Brit guy who was brought to Raleigh for this purpose but I can't remember his name, it's been yrs since I've heard of him.